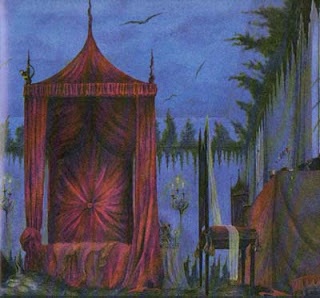 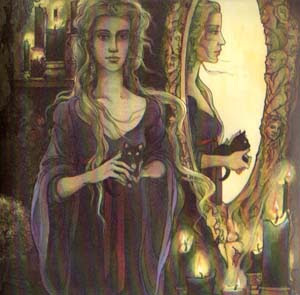 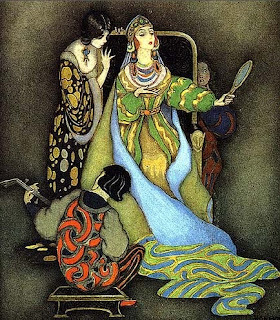 The Wicked Queen Illustration by Trina Schart Hyman in "Snow White"
Think dark, gothic, twisted, spiky, ornate, baroque, Rococo, curvy, with spirals. 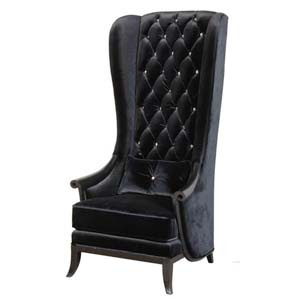 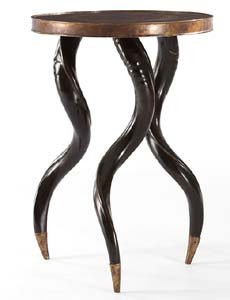 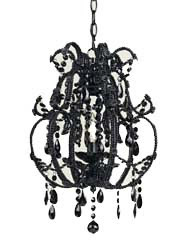 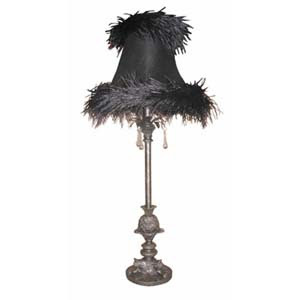 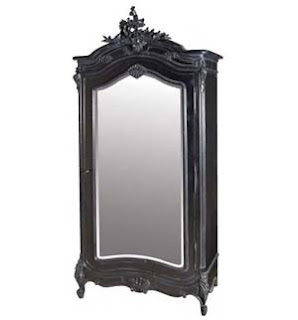 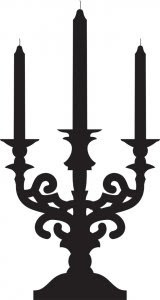 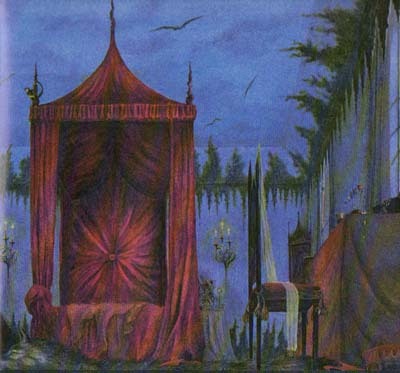 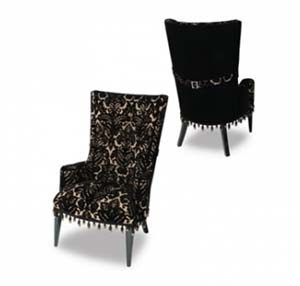 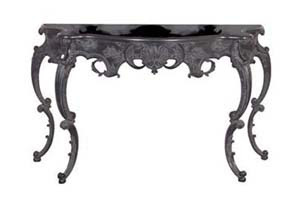 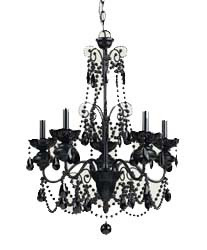 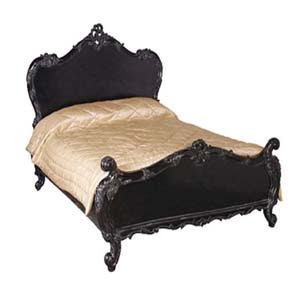 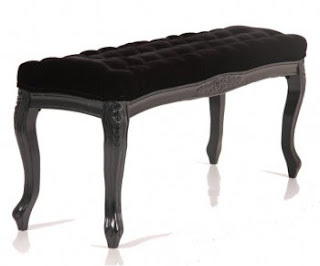 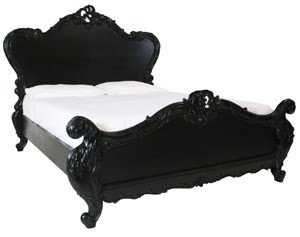 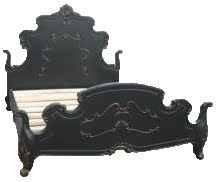 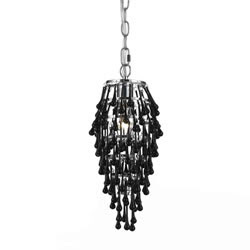 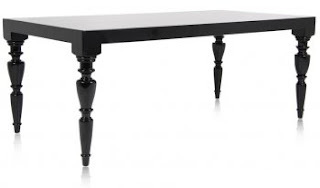 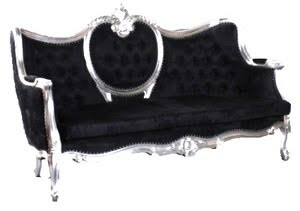 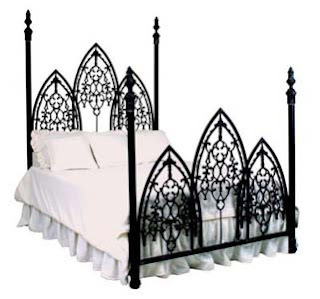 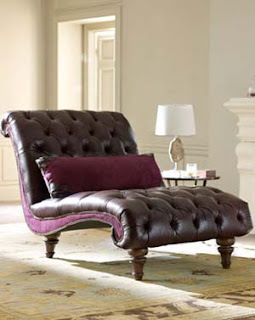 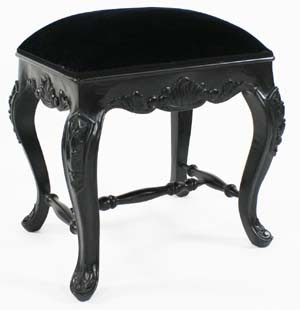 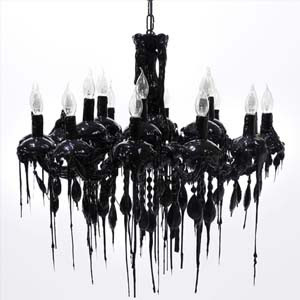 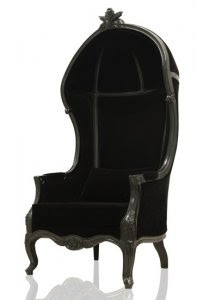 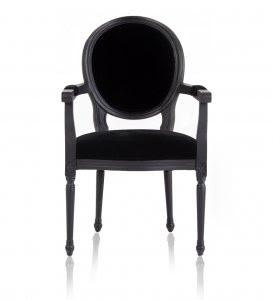 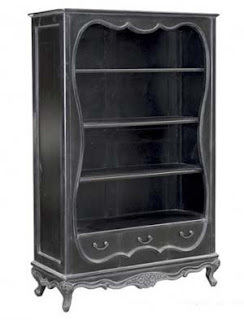 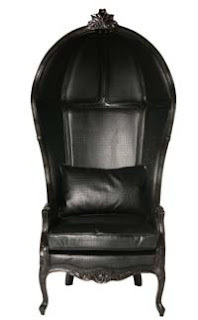 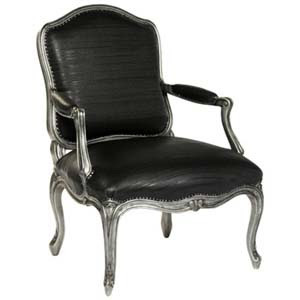 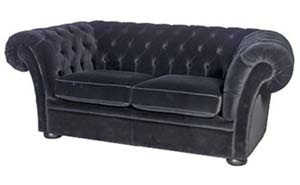 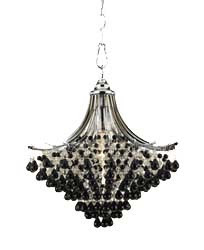 Decorate with heavy black carved furniture, velvets, wood, silver, iron but no gold. 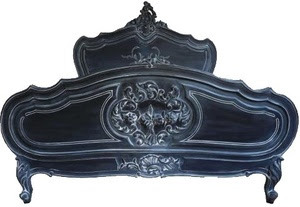 Keep the lights low, and keep burning incense wafting through the home. 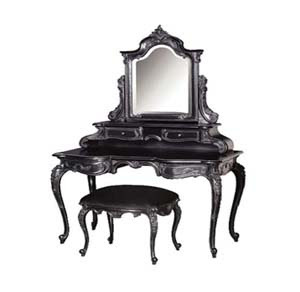 Decadence and a bit of haughty dark eccentrism should prevail. 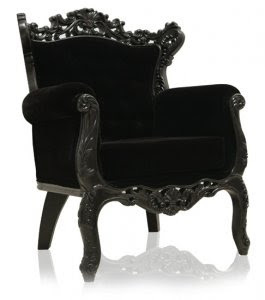 Avoid cheesy skulls and dragons decor, go for regal elegance.